Hat Trick Productions' reinvention of the iconic Room 101 format as a lively, raucous and punchy new series for BBC One, hosted by Frank Skinner (Opinionated) hits our screens on Friday 4th January 2013, for a second eight-part series. 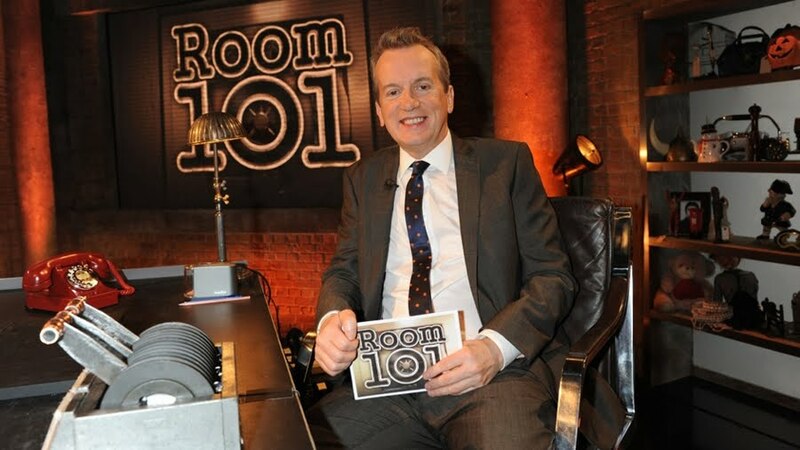 The fast-moving game show meets talk show sees Frank refereeing three celebrities each week as they compete for his approval to banish their top peeve, annoyance, irritation or worst nightmare to the depths of Room 101 forever. The guests are a broad mix of comedians, actors, presenters, pop stars and national treasures mixed up in unlikely combinations. Guests include: Miranda Hart, Cilla Black OBE, Jack Whitehall, Sir Terry Wogan, Paloma Faith, Clive Anderson, Hugh Dennis, Sheila Hancock CBE, Jon Richardson, Alex Jones, Jason Manford, Ben Fogle, Janet Street-Porter, Greg Davies, Phil Tufnell, Victoria Coren, Bill Turnbull, Ben Miller, Jo Brand, John Craven OBE, Reggie Yates, Craig Revel Horwood and Mel Giedroyc. The critically acclaimed first series averaged over 4 and a half million viewers per episode. TV Times gave it four stars whilst the Times commented: “Skinner is his usual amiable and quick-witted self, and the banter between the three very different guests has plenty of bounce.” The Telegraph agreed: “Skinner deftly orchestrates the conversation... Refreshingly, the panellists aren't the same old faces on the circuit, and each gets a chance to shine.” The Daily Mail's four star review described the series as “zippy” while The Sun labelled it as “Best Panel Show”.